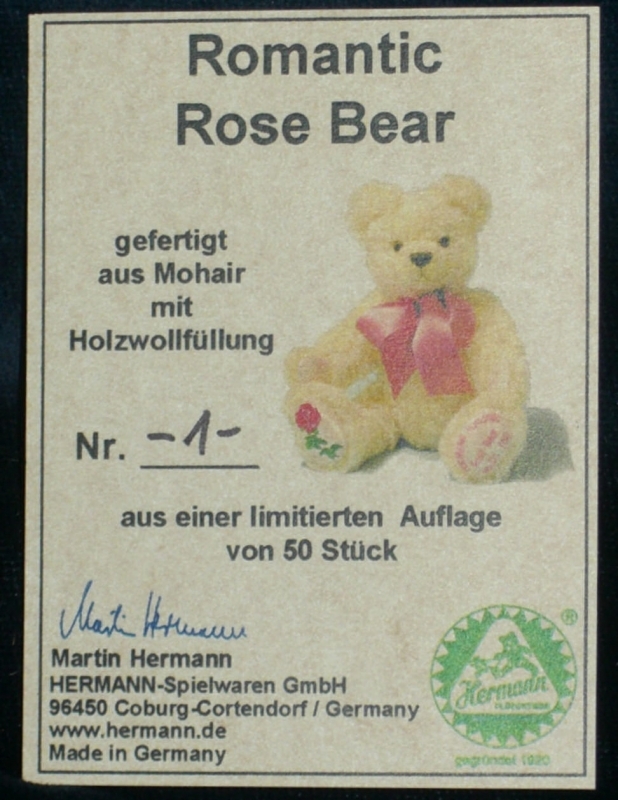 A lost certificate is not a drama - we are happy to help! 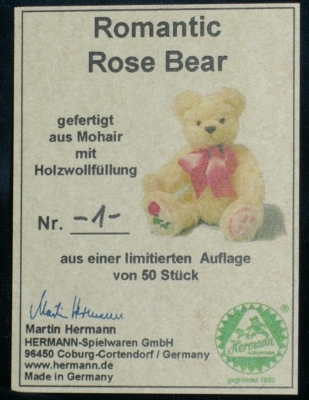 Unfortunately, it can happen that the original certificate, which we attach to the original delivery, has been lost. 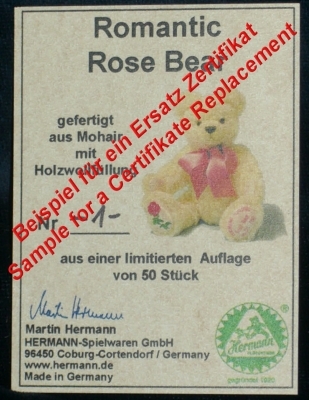 In such cases, we will gladly provide you with a replacement certificate if we have certificates for your item. Currently, we offer this service for all limited collection items from the 1993 vintage to today. 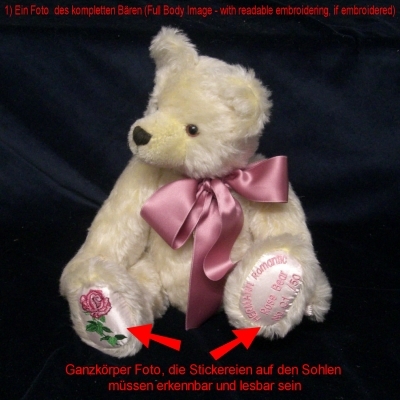 A) A photograph of the complete bear, with a recognizable foot sole embroidery showing the embroidered number of the bear, as well as the other embroidery texts. Since some of our bears, instead of an embroidery, wear a metal plate with the limitation number in the thigh or on the sole of the foot, these bears would also need a photo of this metal plate with a recognizable number. 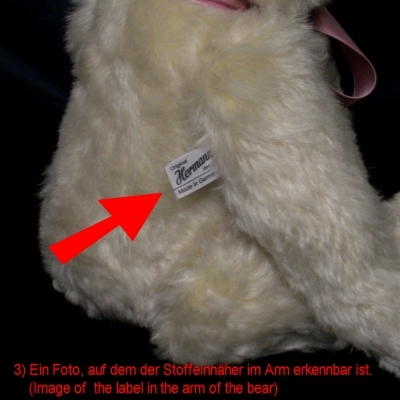 C) Photo of the fabric in the arm of the bear on which the text of the seam is recognizable. 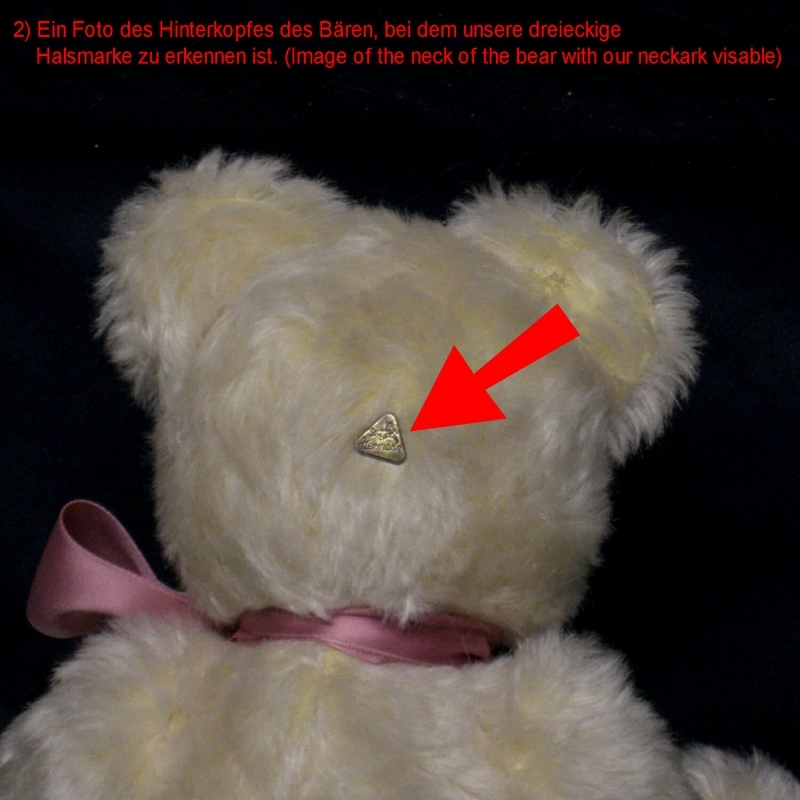 1) Make photos of the desired bear, as explained above. 3) You will immediately receive a confirmation mail through the Eshop software. 4) Reply to this mail and attach your pictures (point 1) to this mail. 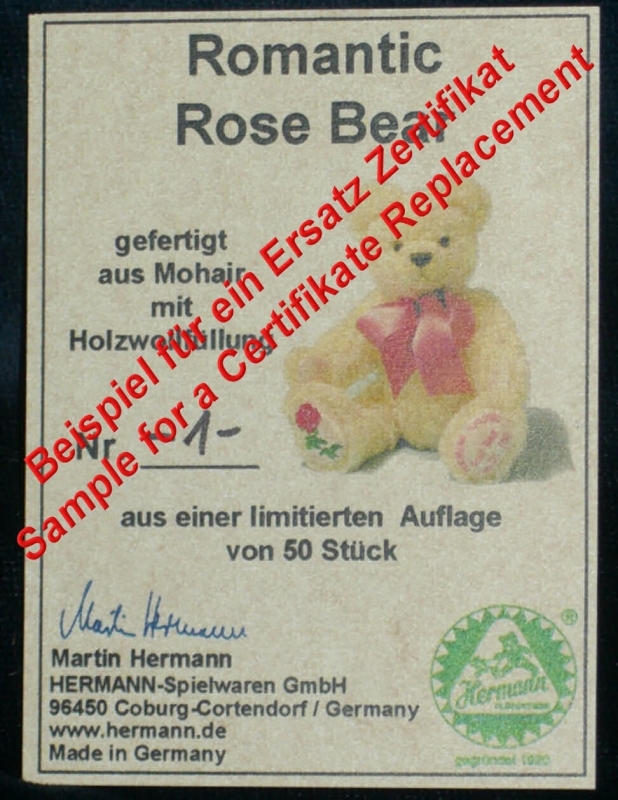 5) We check the possibility of a replacement certificate, we may also contact you again. Please include your telephone number in the order. 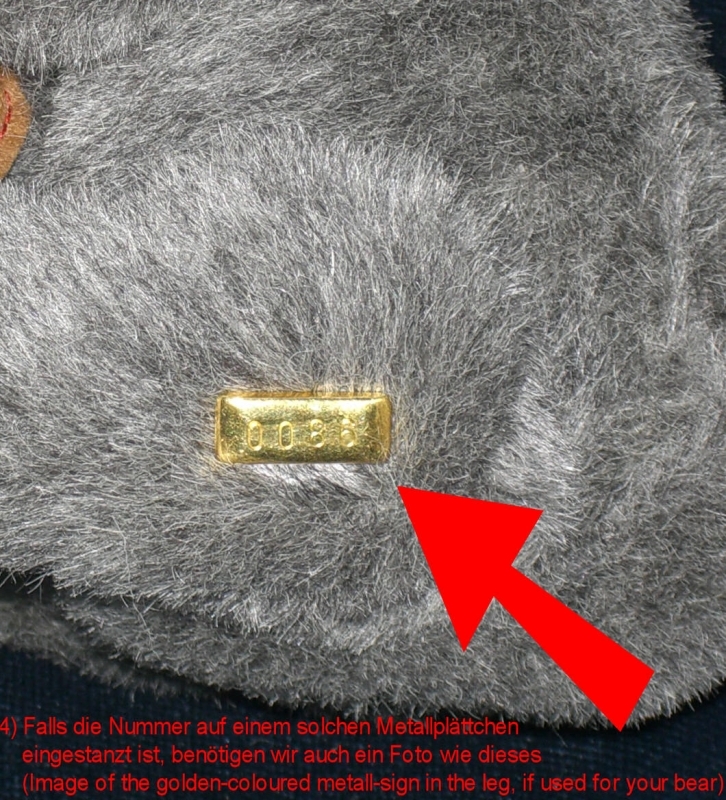 6) Either we issue a replacement certificate and send it to you or, if the issuance of a replacement certificate is not possible, we will reimburse you the expense expense. You paid for the Eshop order.